Our friendly team provides all the vision and eye care services you need to enjoy clear and healthy sight. Dr. Samantha Bourdeax, our compassionate and experienced eye doctor at Ray Dahl Optical & Optometrists, welcome all members of your family, no matter what age, to visit for Sidney, BC, eye exams. Also serving the surrounding communities of North Saanich and Saanichton, BC, we satisfy all visual needs, from pediatric to geriatric. If you or a loved one suffers from eye disease, such as macular degeneration, glaucoma, and cataracts, we provide comprehensive co-management services to prevent vision loss. Interested in LASIK? We also co-manage many laser eye surgeries, making it convenient and easy for you to enjoy sharp vision. Contact us to schedule your eye exam, or stop in with your current vision prescription to browse our boutique collection of eyeglasses and full range of premium contact lenses for sale. Everyone’s eyes are different. Depending upon your age, lifestyle, risk factors, and health condition, we will personalize your eye exam to meet your unique needs. At our Sidney, BC, eye care centre, you will benefit from advanced diagnostics and our precise optometric technology. We will assess visual acuity, eye health for signs of disease, and look out for the symptoms of any vision conditions, such as dry eye syndrome. We love children in our Sidney, BC, optometry and optical practice! Our eye doctor performs pediatric eye exams with a gentle, calm manner and a smile – so your child will look forward to returning. Pediatric eye exams must assess a variety of visual skills to ensure that a vision disorder isn’t getting in the way of learning, developing, or playing on the sports field. Many of these skills cannot be identified by routine vision screening done in schools, and only a qualified eye doctor will detect the signs. Don’t’ wait until your child lags behind in school; call to reserve an eye exam for children today! When you wake up to the sight of oozing, red, and swollen eyes – don’t panic! Our Sidney, BC, eye care specialists will provide emergency eye care for many urgent conditions, such as eye infections, eye injury, eye contact with harmful chemicals, and removal of a foreign body stuck in the eye. There is not always a need to run to the local hospital emergency room. Contact us immediately for assistance. Dry eyes can lead to painful vision, which can complicate your ability to perform many daily activities. Typical tasks, such as reading, viewing a screen, and driving, can lead to eye irritation when you have dry eye syndrome. While the symptoms may be similar for many people, the cause of dry eyes is highly individual. And finding the cause is the first step to determining the best treatment. Our eye doctors will perform a thorough eye exam in our Sidney, BC, office, to identify what’s causing your dry eyes and recommend effective treatment to relieve your pain. We use the most up-to-date technology to ensure the best eye care possible. 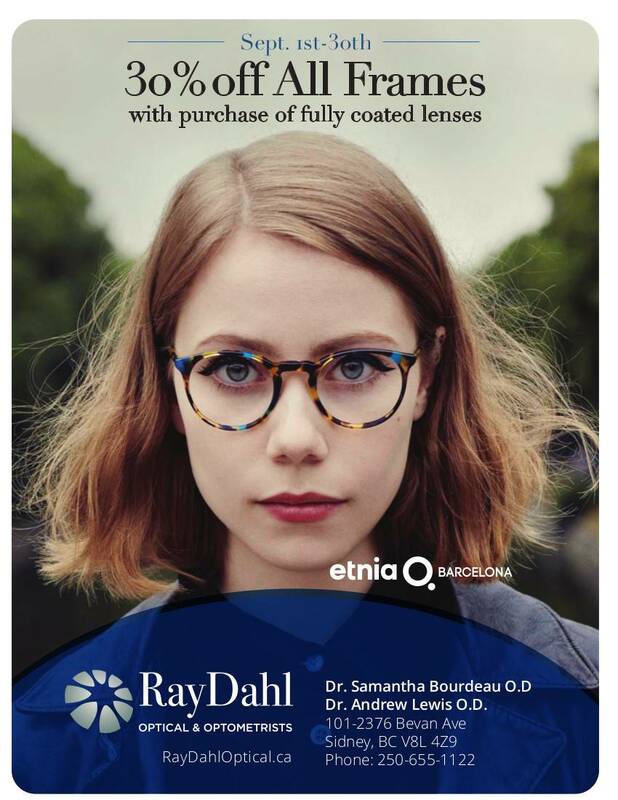 Learn about the different types of tests and equipment you may experience on a visit to Ray Dahl Optical & Optometrists.